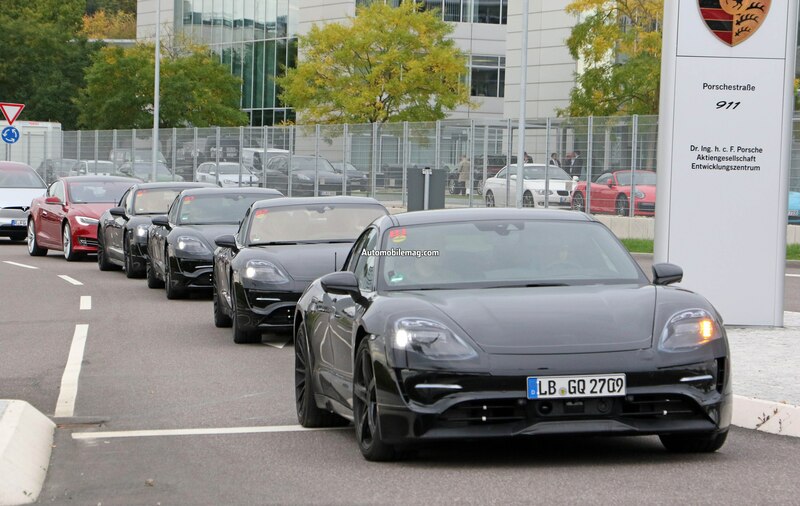 Tesla beware! 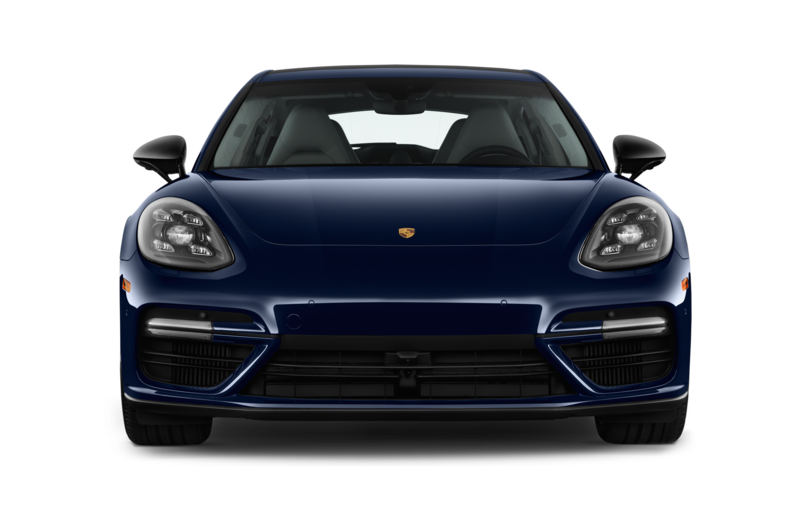 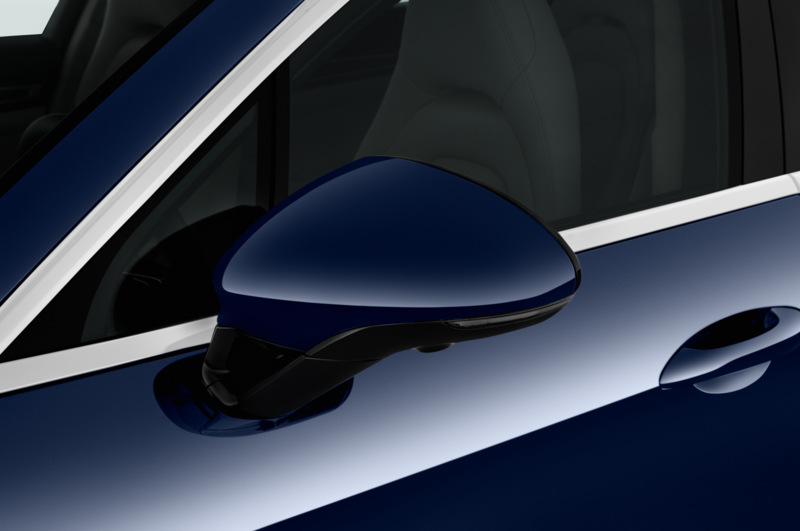 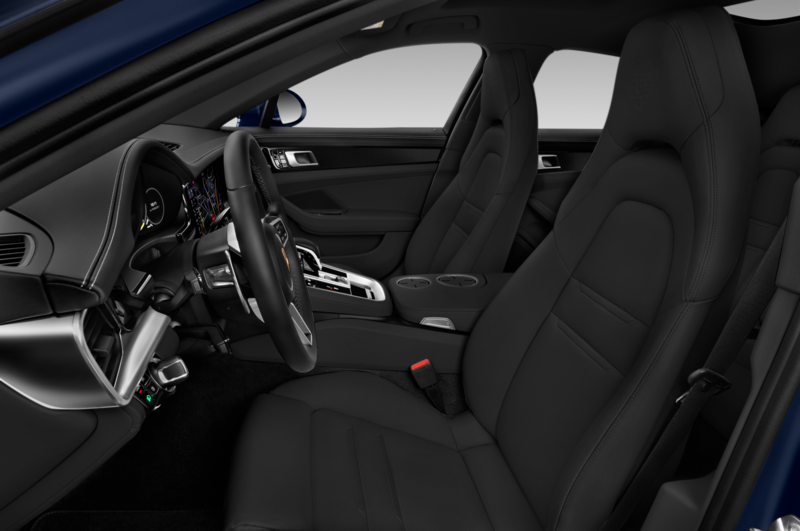 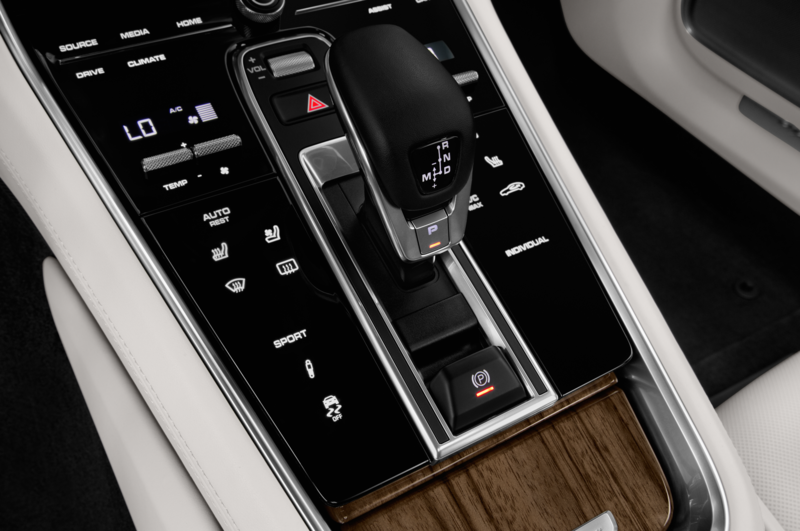 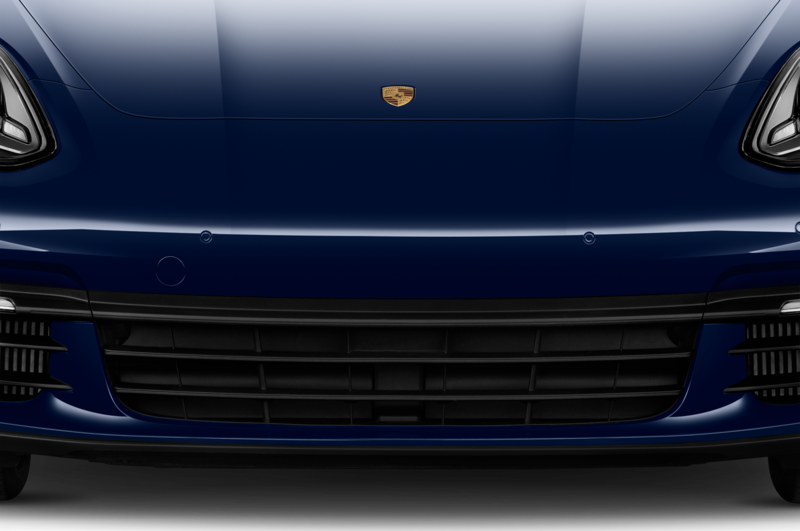 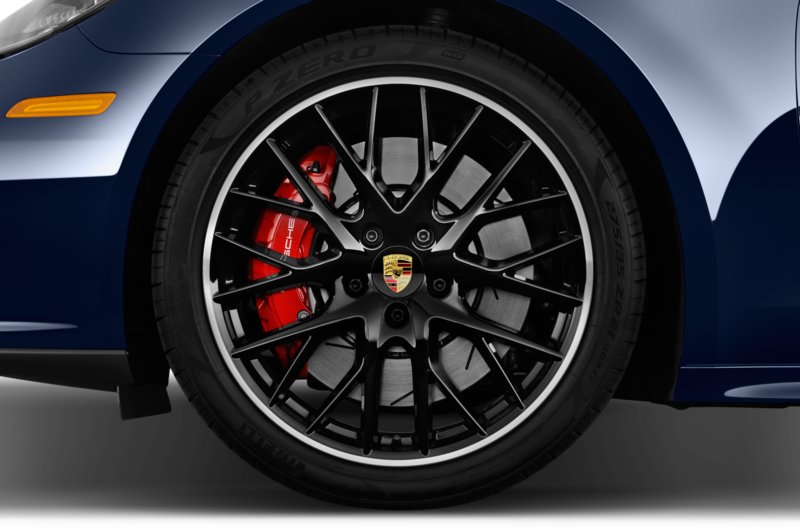 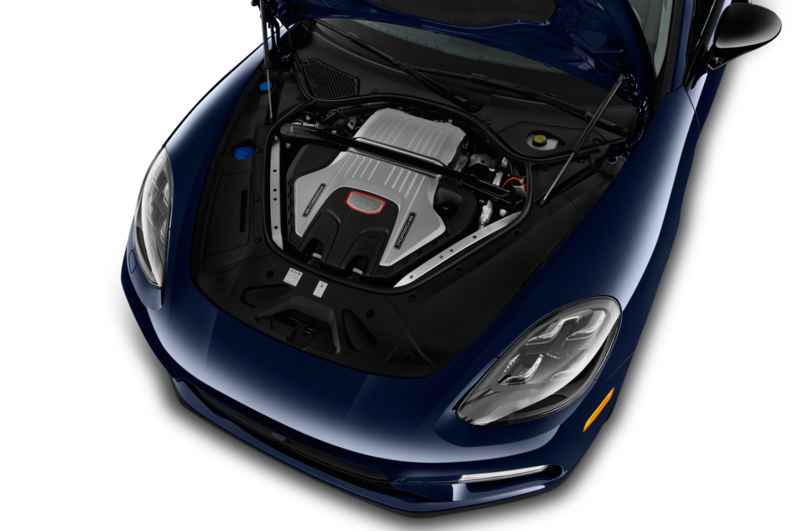 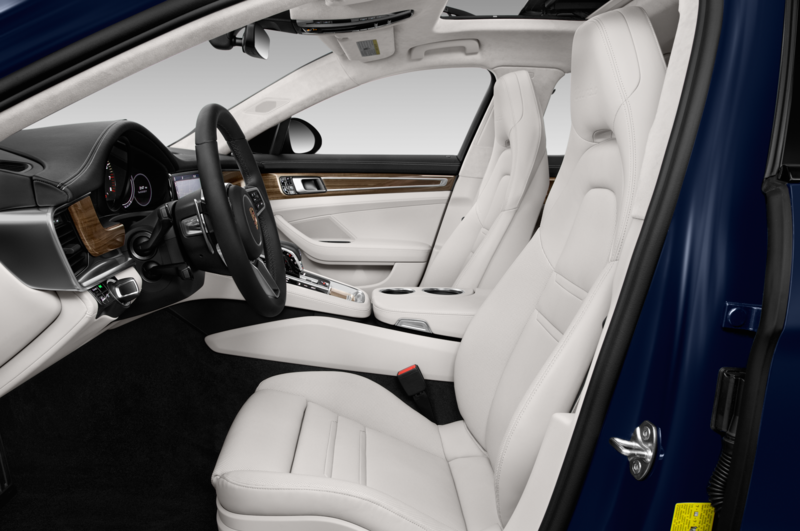 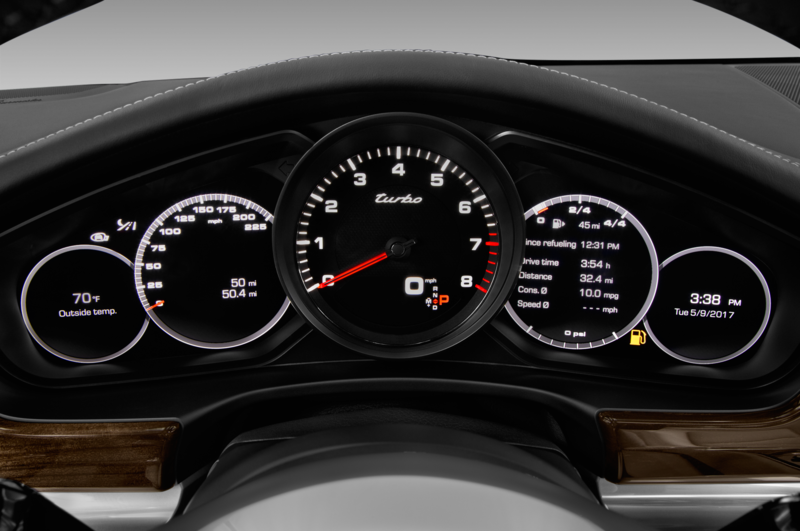 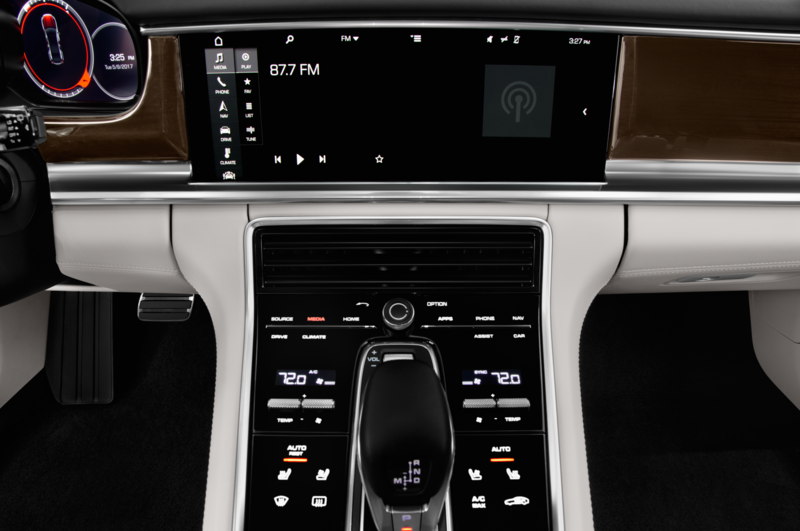 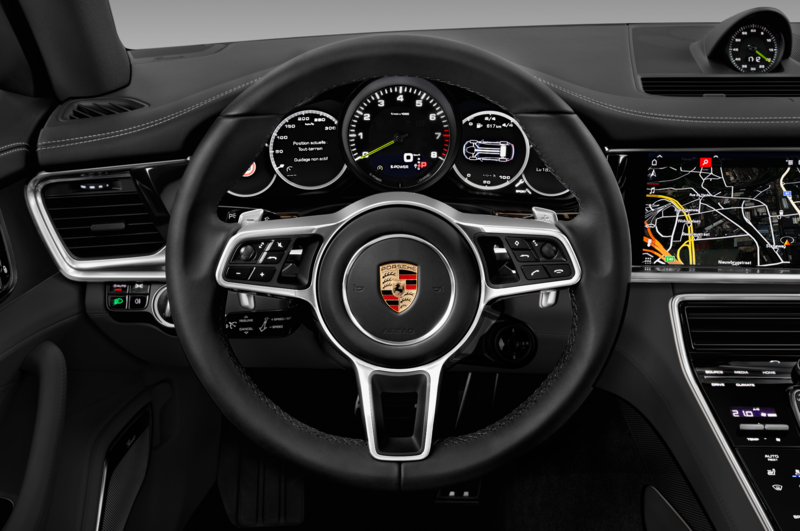 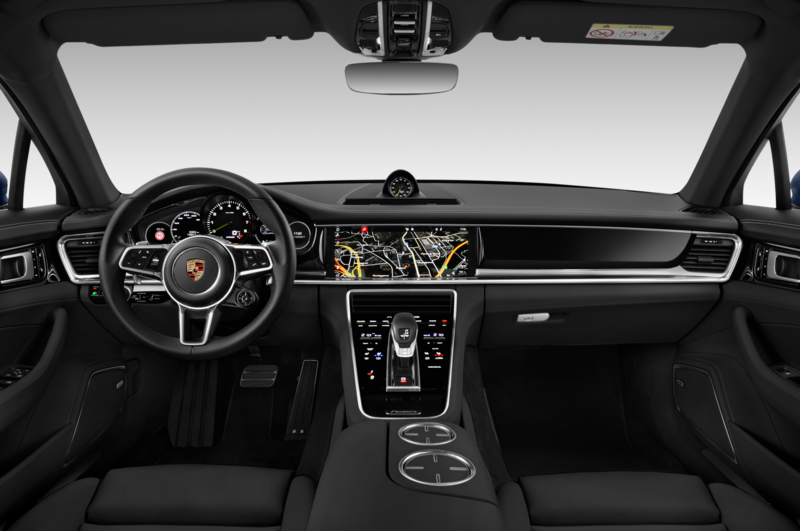 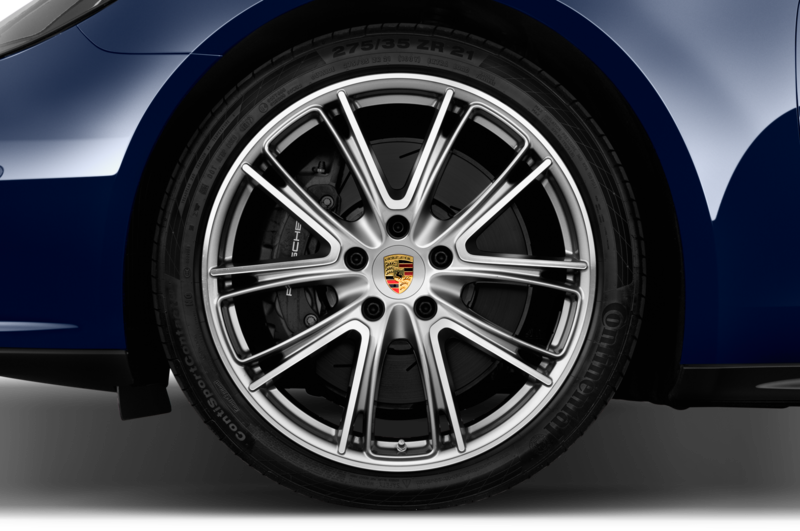 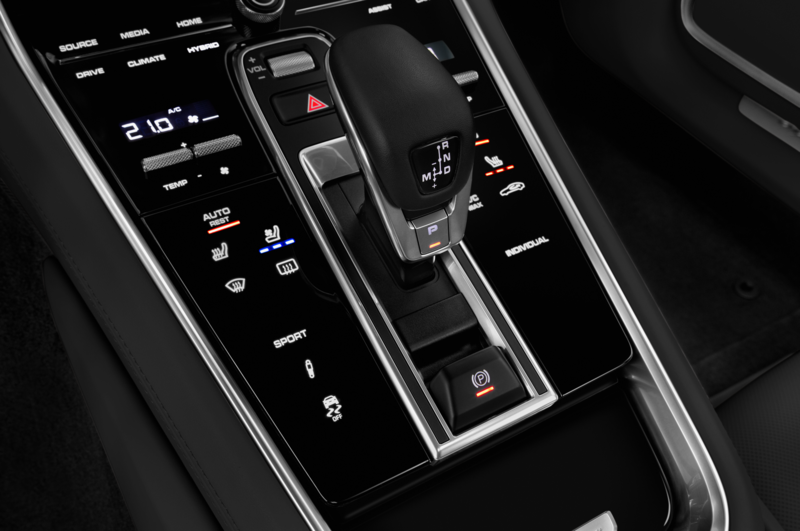 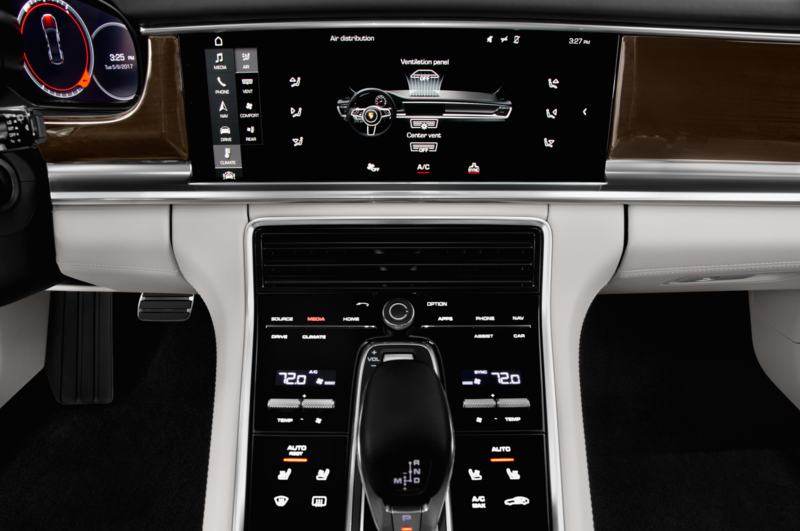 You’re being benchmarked by one of the world’s most iconic brands, Porsche. 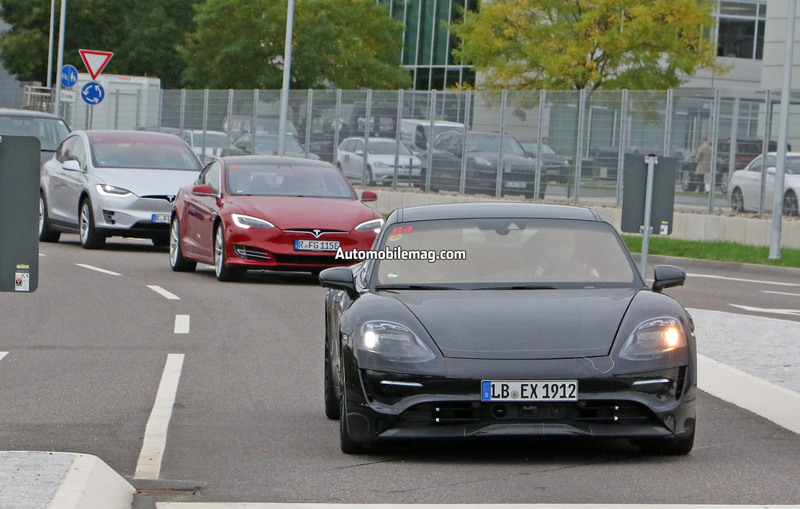 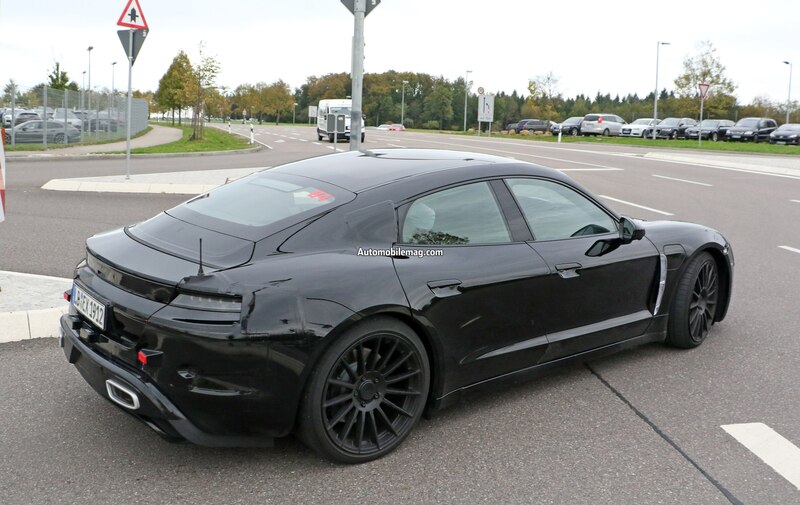 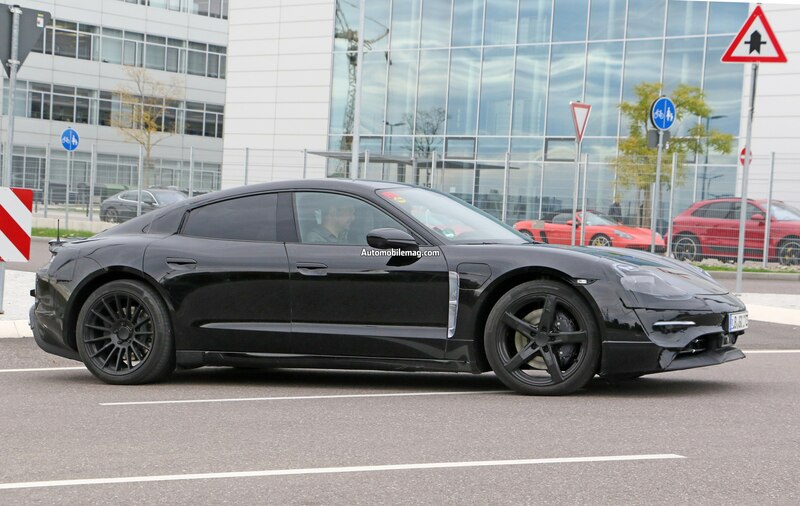 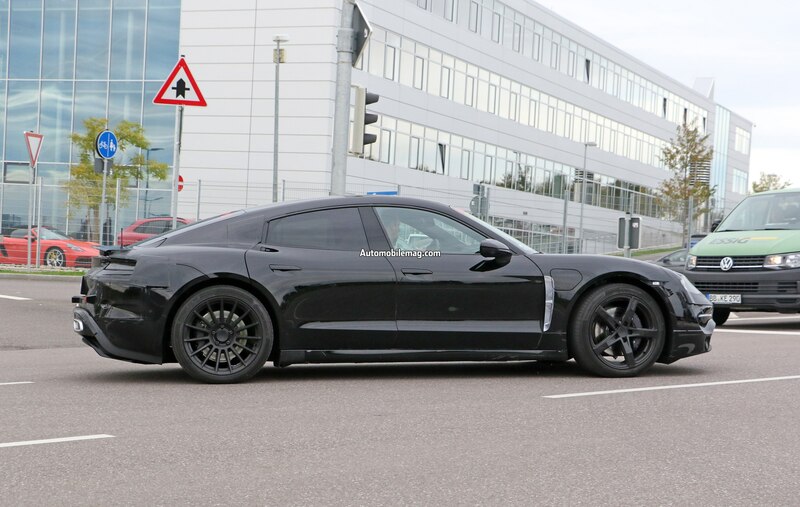 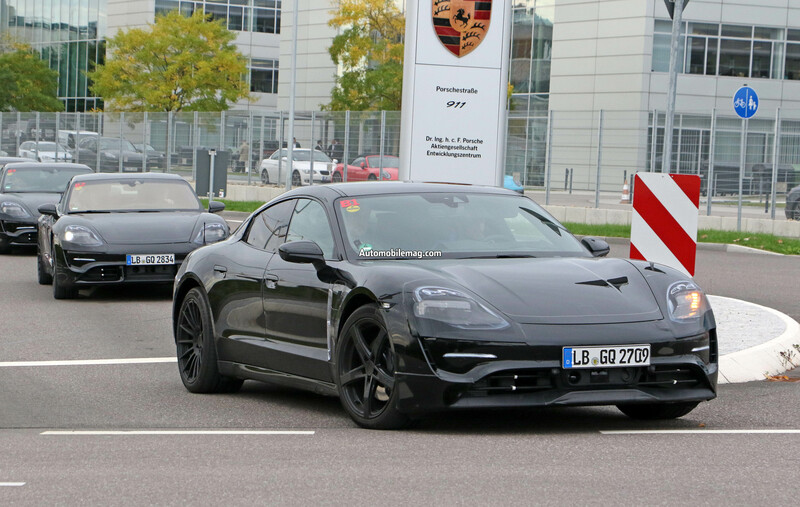 Our spy photographers caught Porsche’s upcoming Mission E electric car camouflaged and testing in Germany alongside a Tesla Model S and Model X.
Tesla might be flattered but should be cautious because Porsche currently builds some of the most impressive hybrid sports cars on the market including the 918 Spyder supercar and the fast and luxurious Panamera E-Hybrid lineup (more specifically the Panamera Turbo S E-Hybrid). 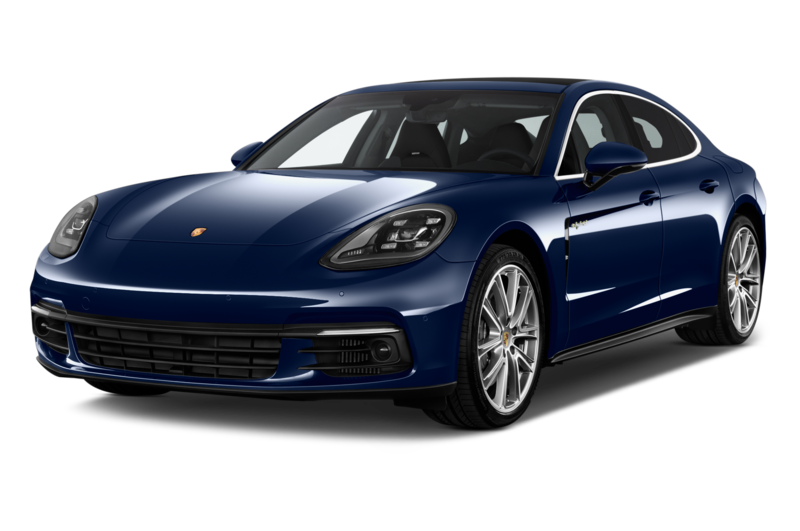 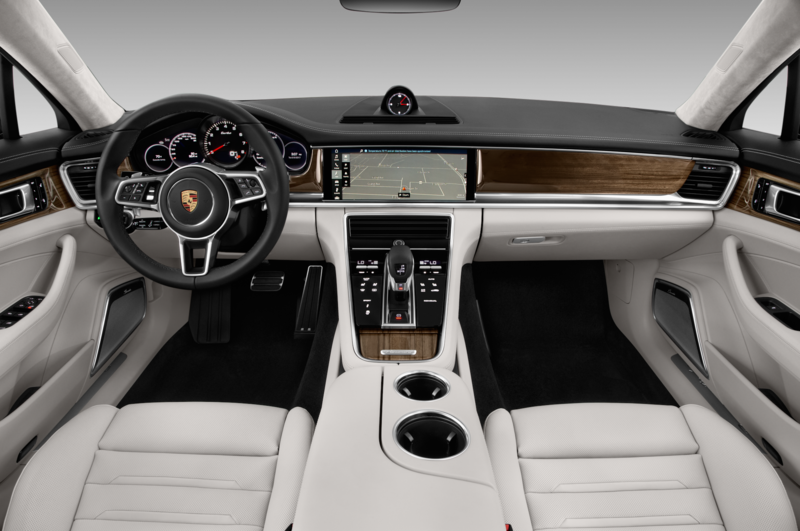 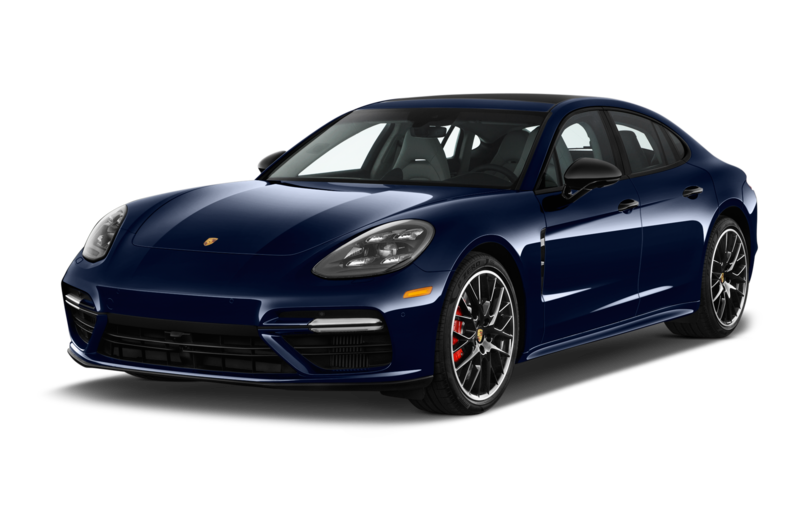 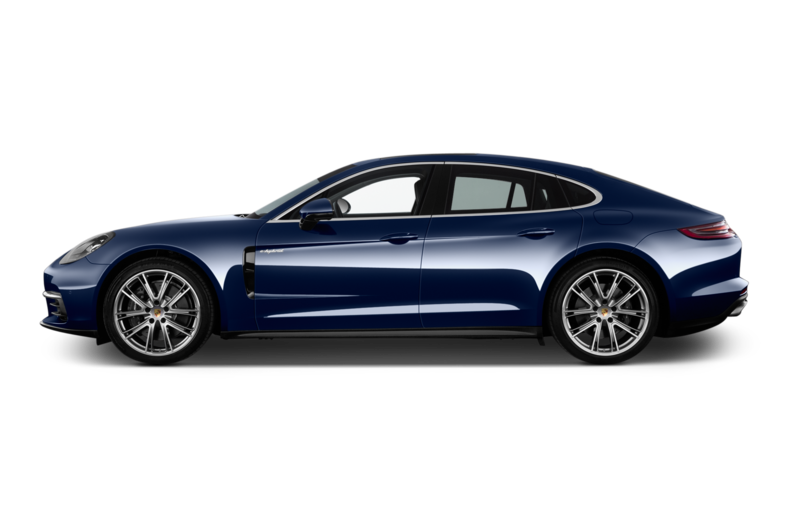 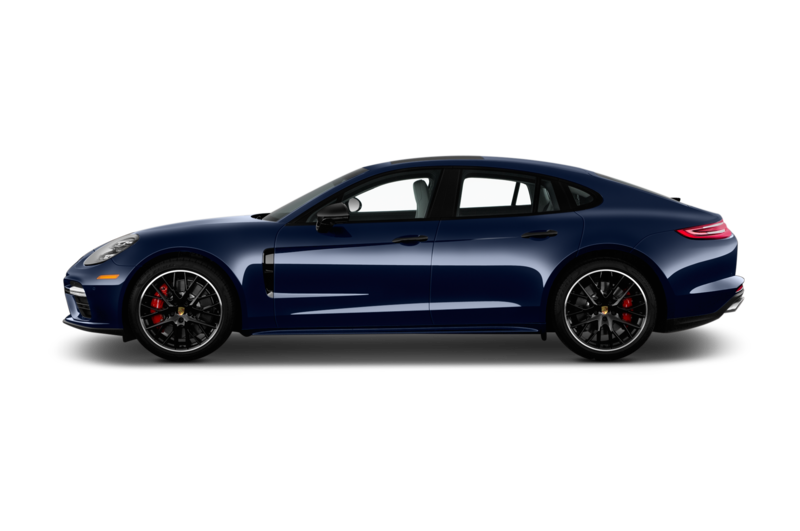 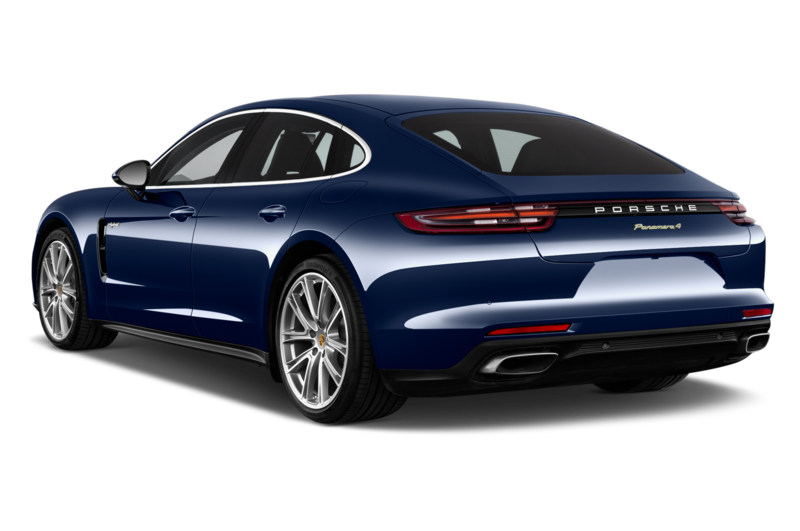 We also expect high levels of performance from the Mission E.
The pre-production test mules do not stray far from the Mission E concept and share many visual characteristics with the Panamera. 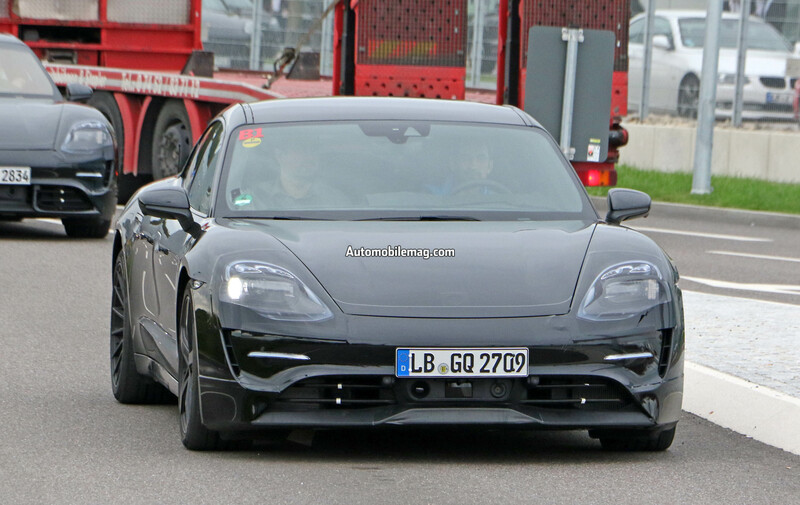 The front end appears a bit toned down, with smaller fenders and a traditional frunk hood. 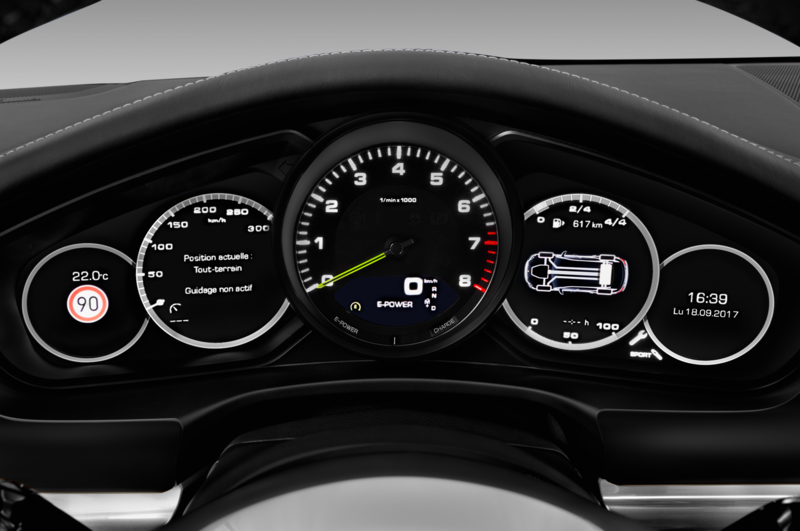 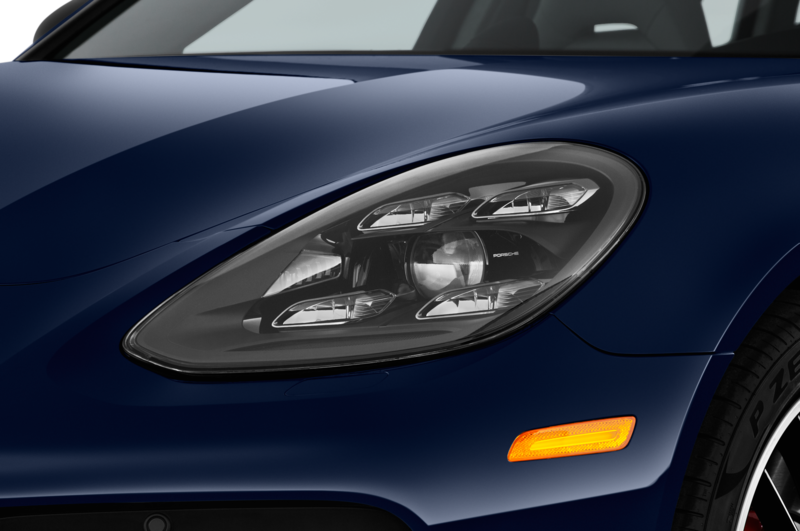 As far as the headlights go, some mules are seen with the four-LED headlamps that are on the concept while others have traditional looking projectors, probably due to different trim levels. 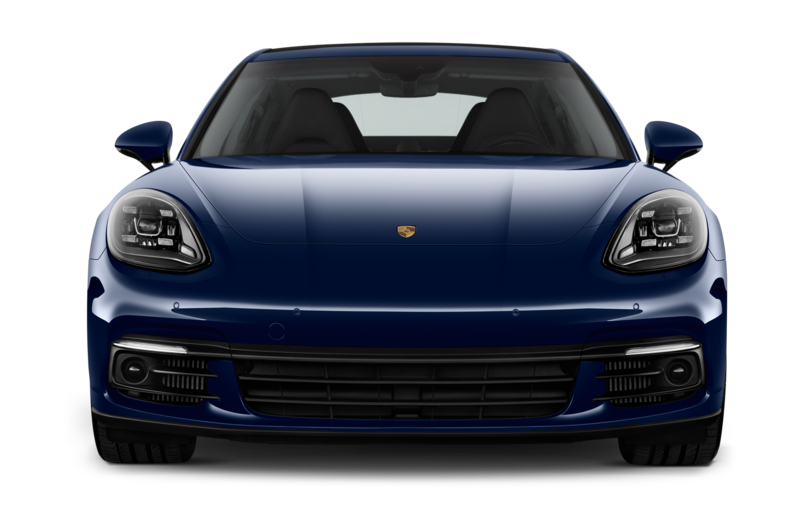 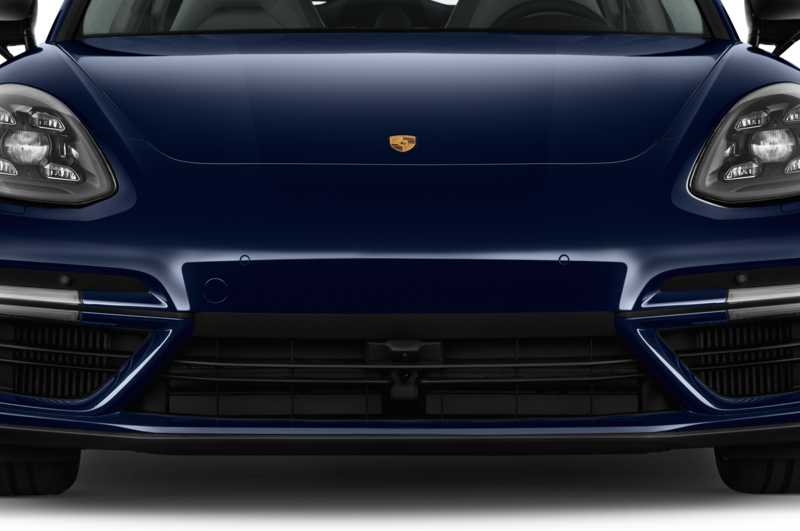 With the exception of a larger lower air intake with driver assist hardware, the rest of the front fascia looks a lot like the concept, even the air curtains below the headlamps that route air to the front wheel wells. 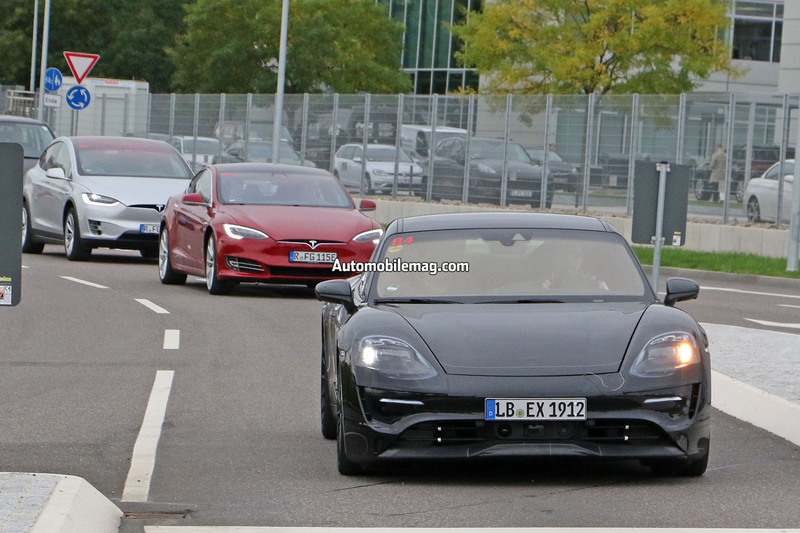 The EV’s profile looks almost identical to the concept sans the aggressive front fenders and the stylish suicide doors that are unfortunately replaced by traditional doors. 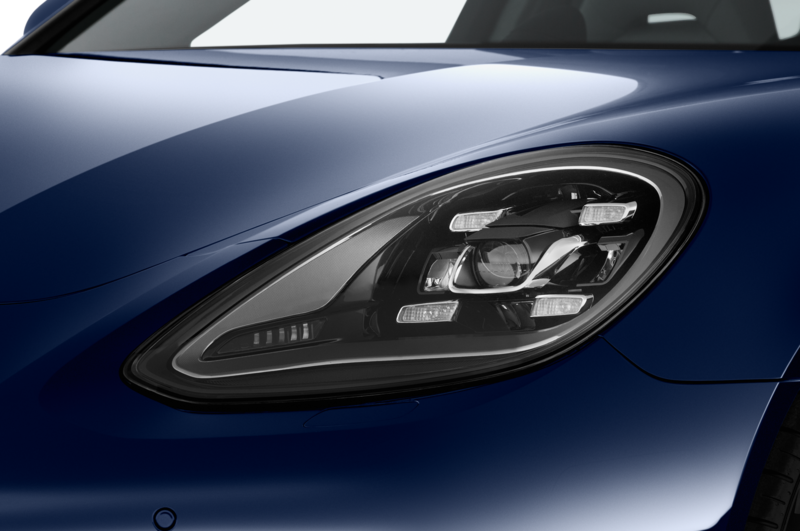 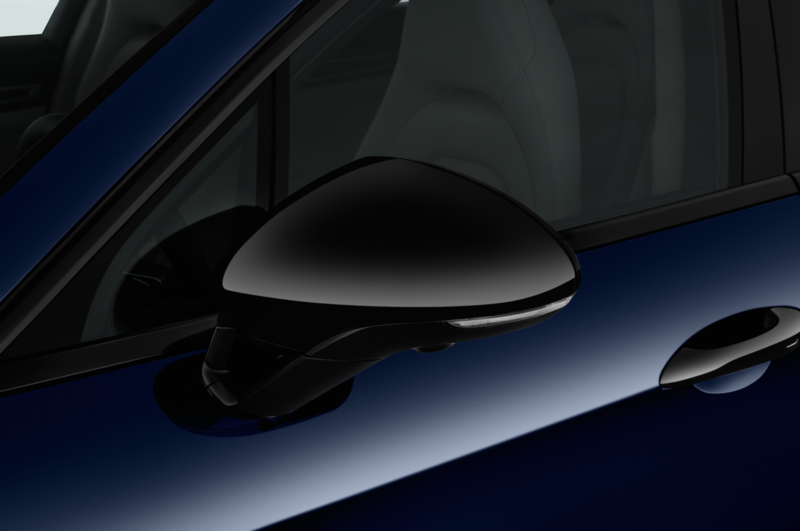 The non-existent B-pillars on the Mission E concept didn’t transfer over and are instead blacked-out B-pillars, resulting in a coupe-like look. 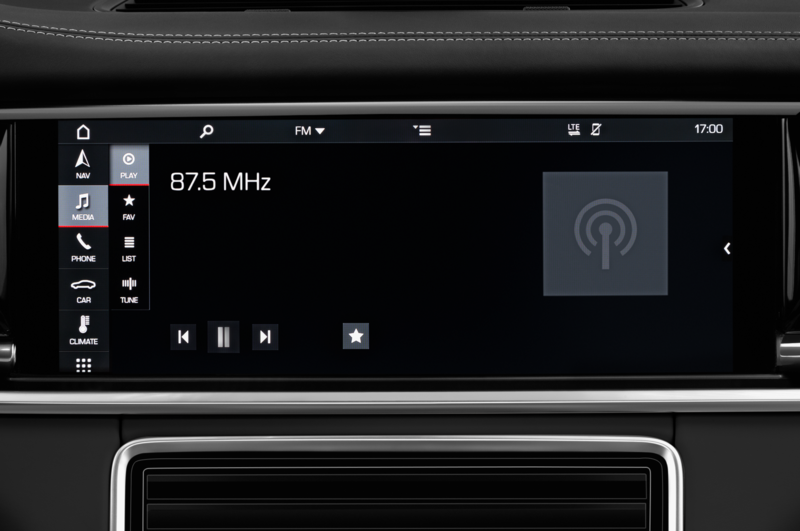 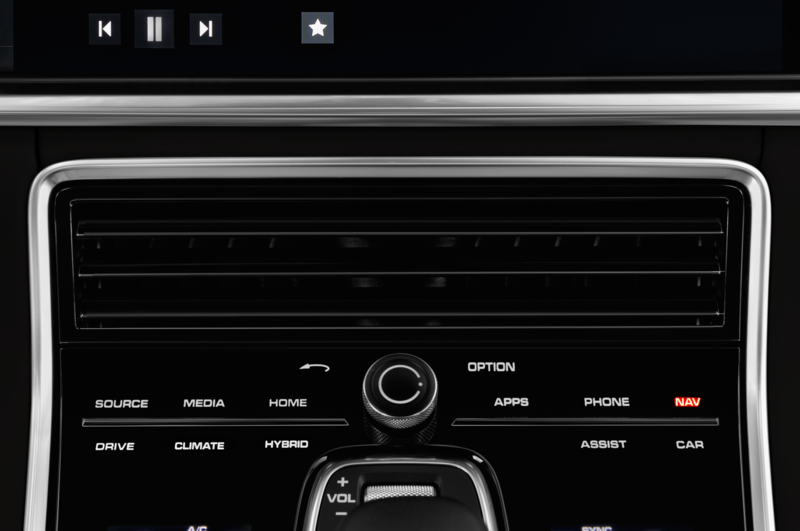 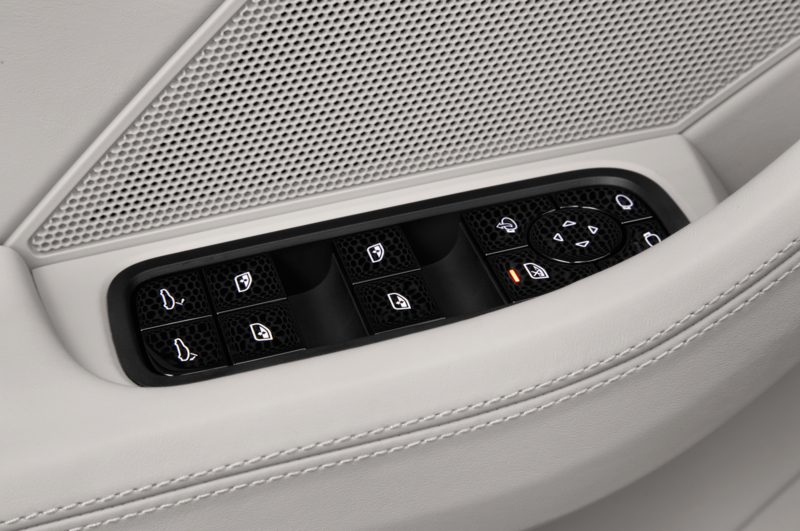 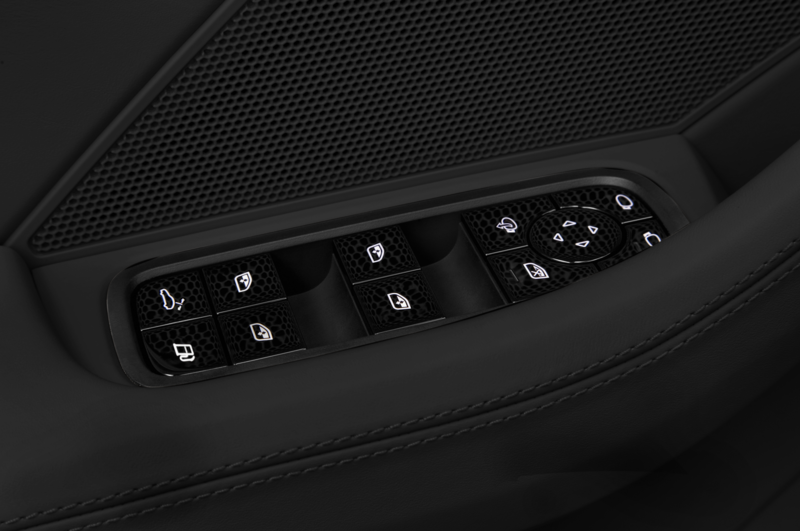 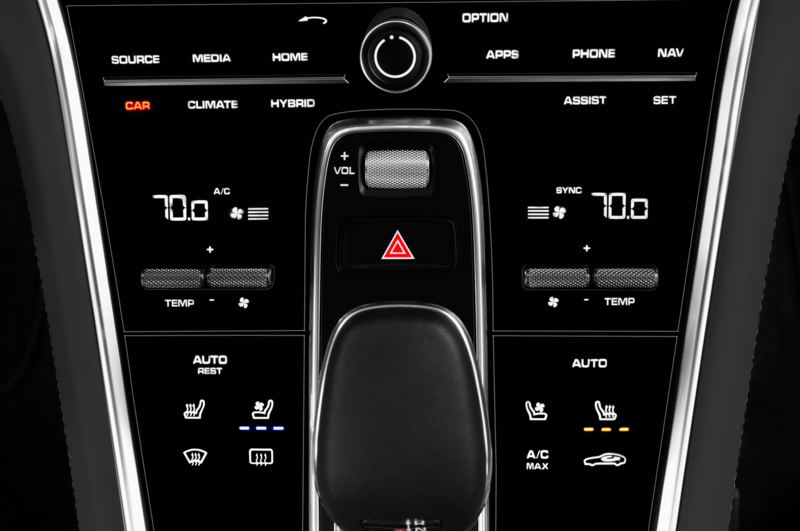 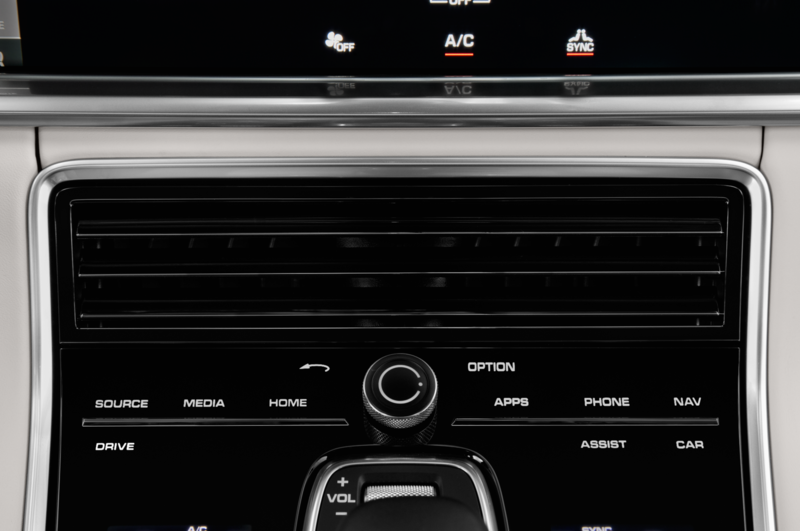 The large sliding charge port door with a digital charge display from straight out of the future looks to be replaced by a smaller, traditional charge port. 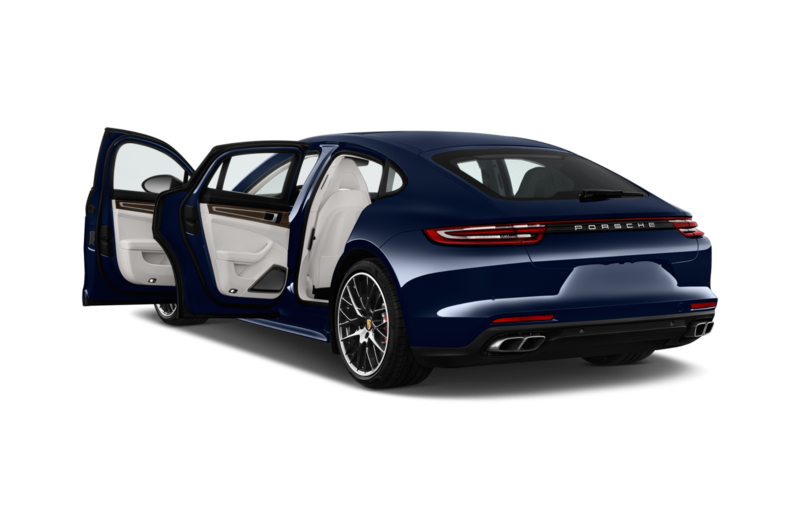 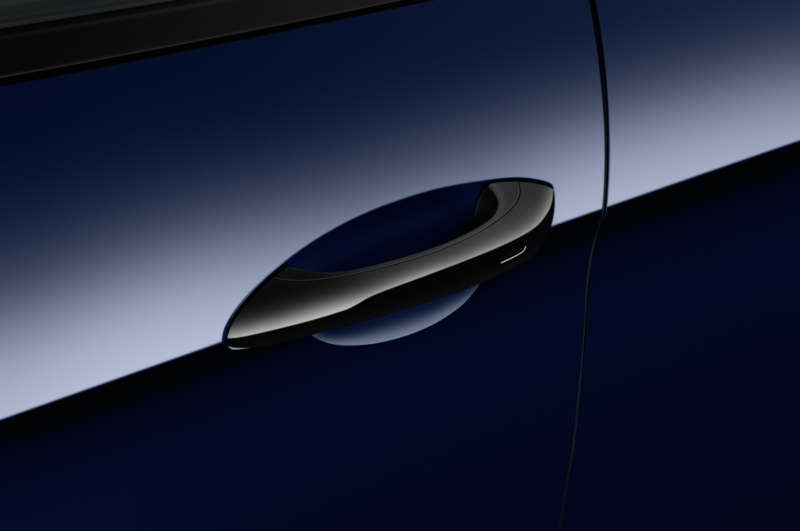 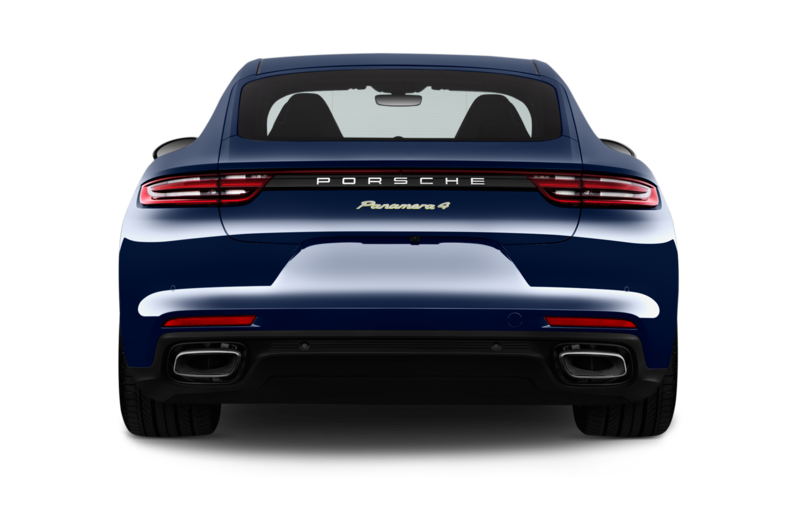 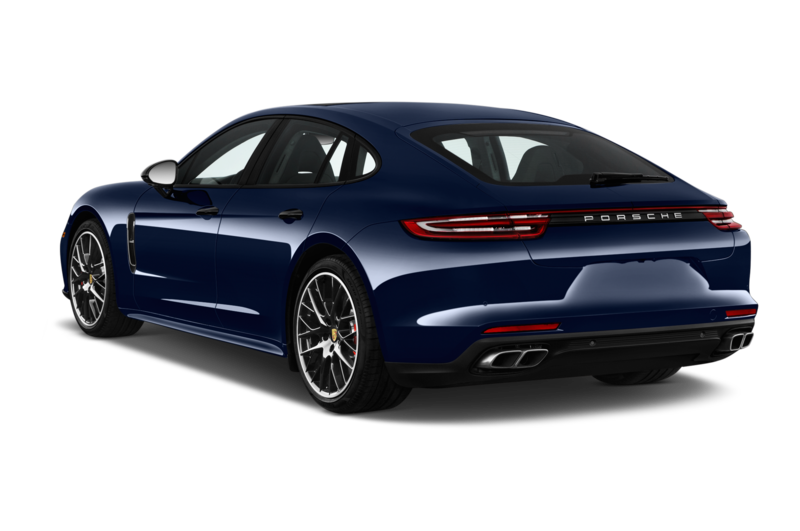 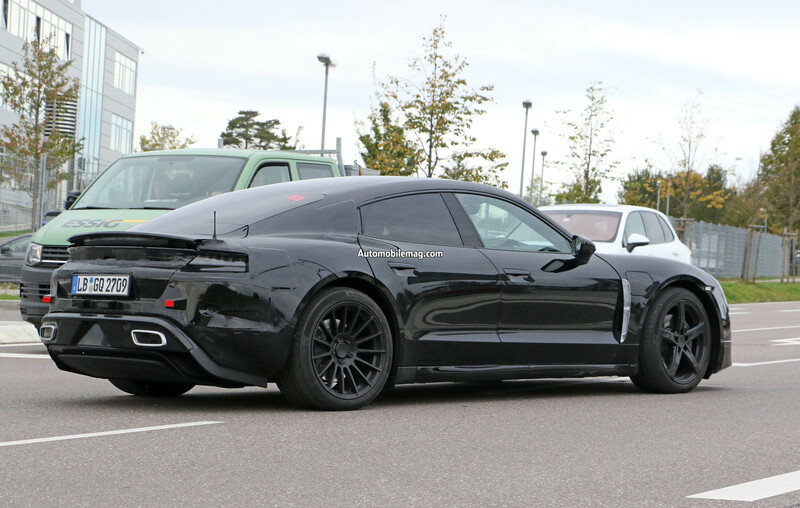 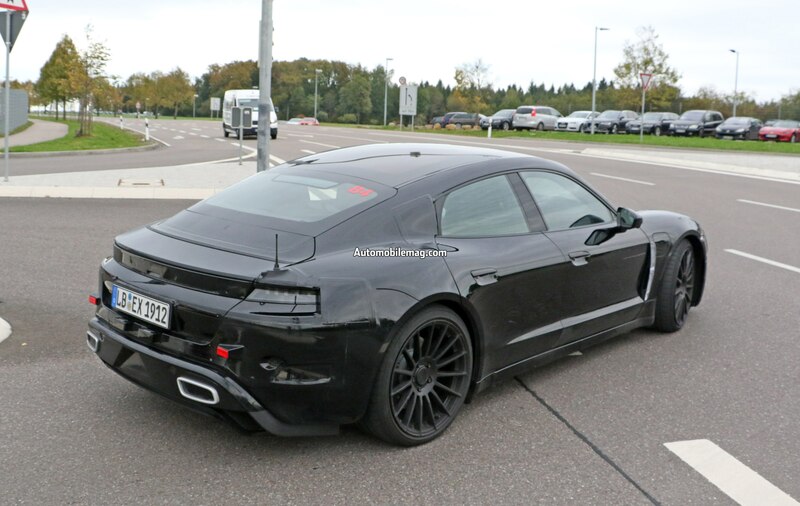 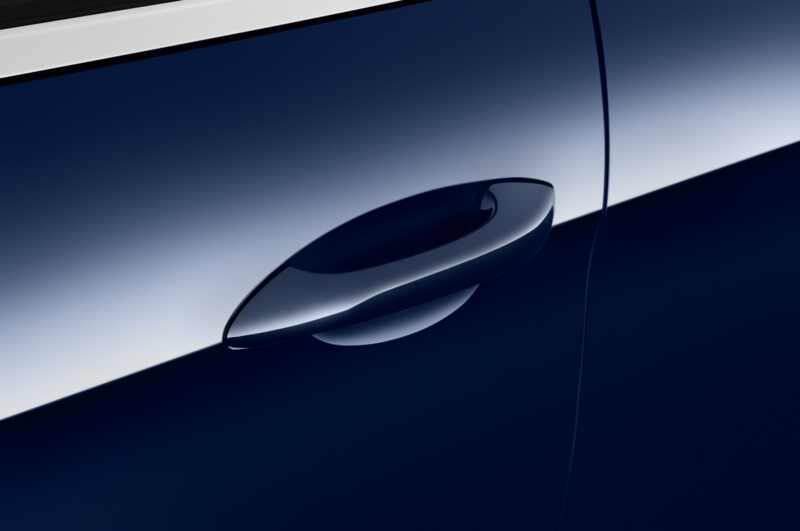 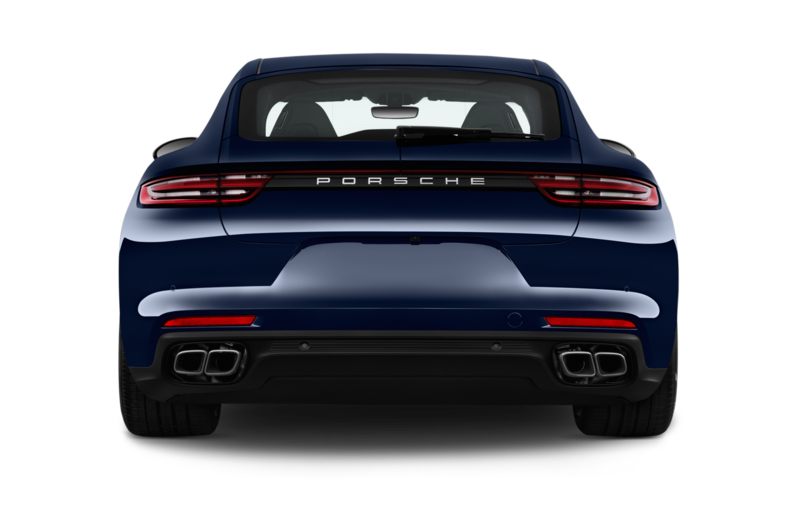 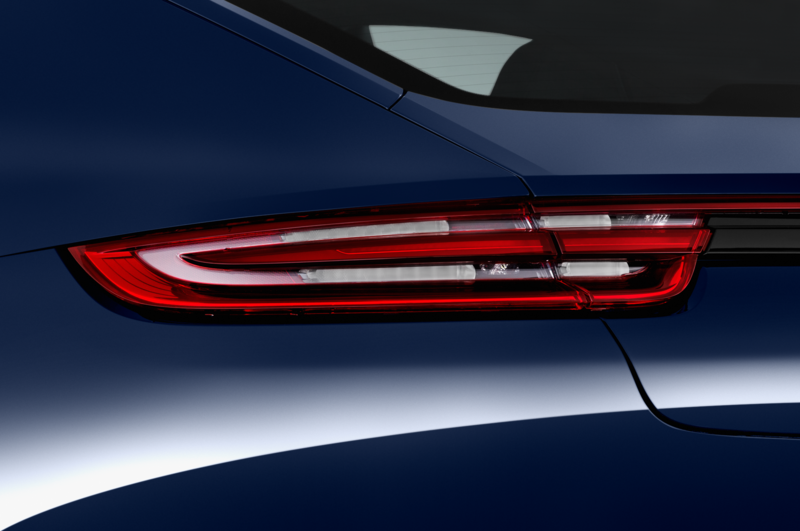 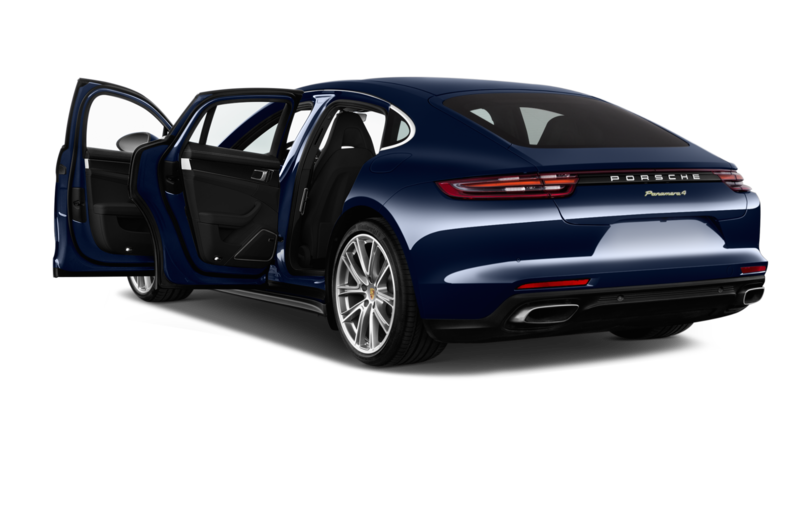 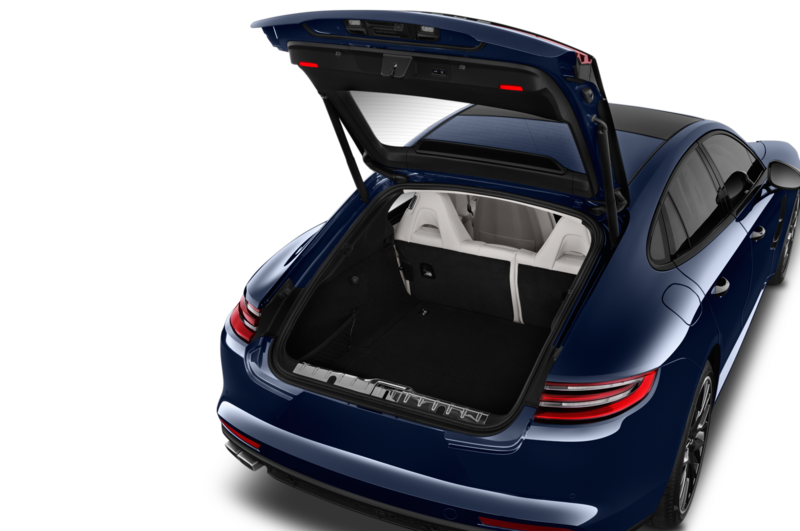 Ignoring the fake tailpipes, the rear end takes more traditional design cues with taillights resembling other Porsche models and body panel gaps for the trunk. 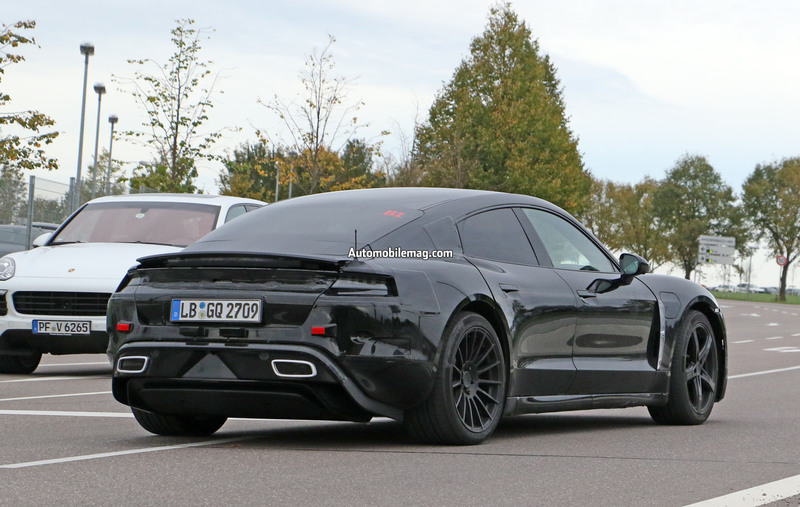 The rear spoiler appears to be activated and camouflage is coving the outside corners of the taillights, where air extractors will probably be located like on the concept. 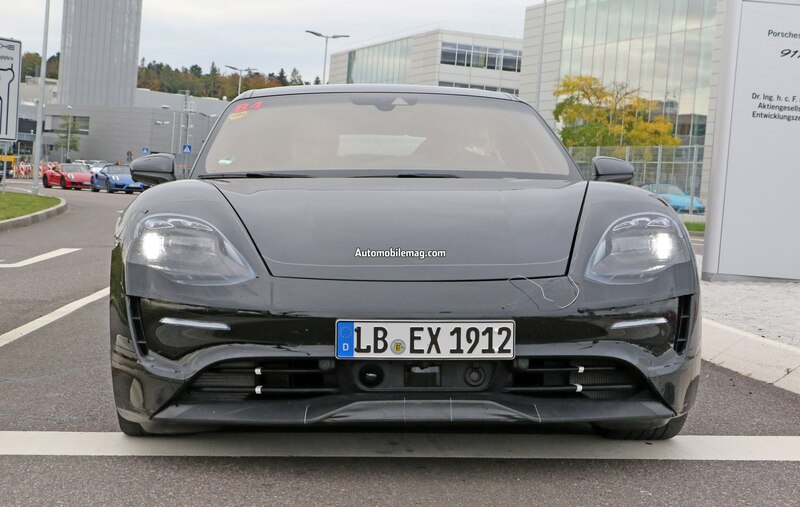 Powering the Mission E is an all-electric powertrain with a total system output of 600 hp, and Porsche claims it will hit 60 mph in less than 3.5 seconds. 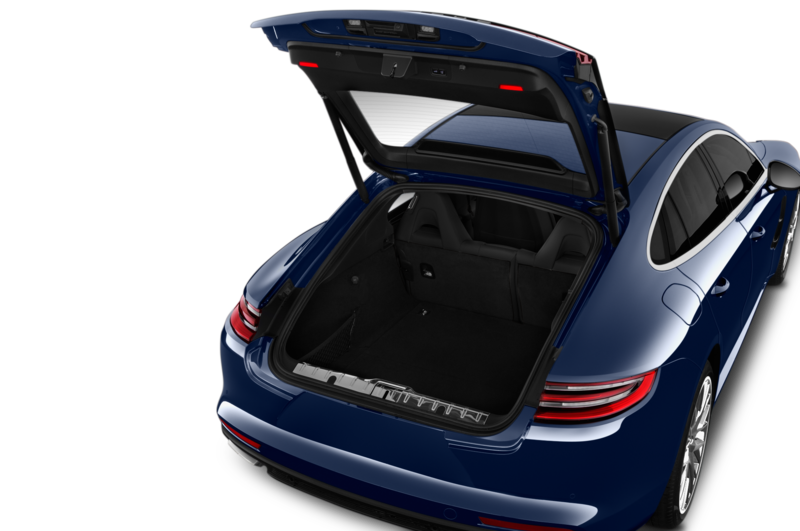 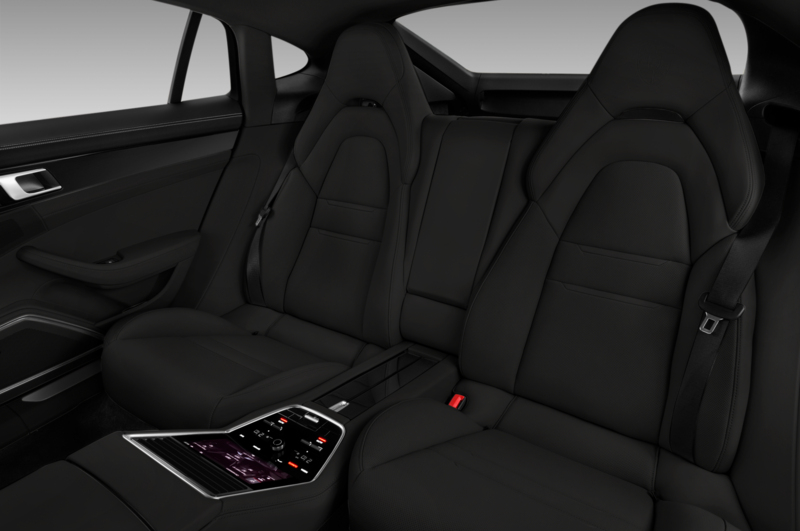 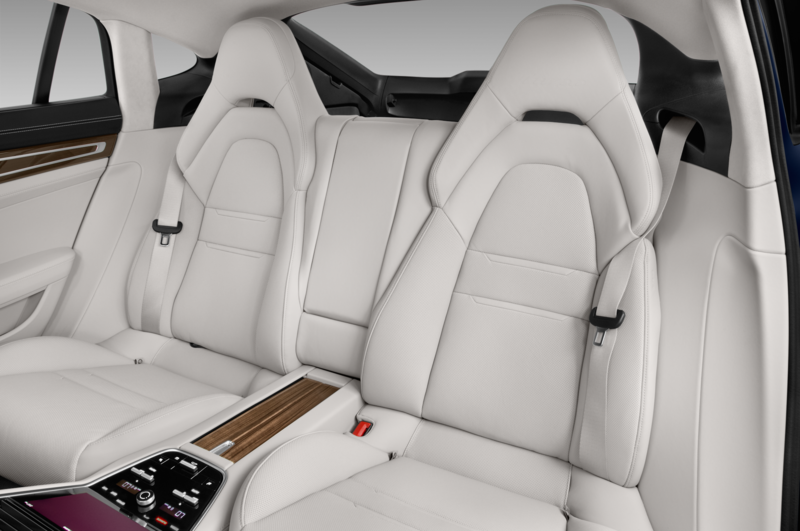 The Mission E’s driving range will top 300 miles and an ultra-fast 800-volt charger is capable of charging the floor-mounted battery pack to 80 percent in just 15 minutes (when available). 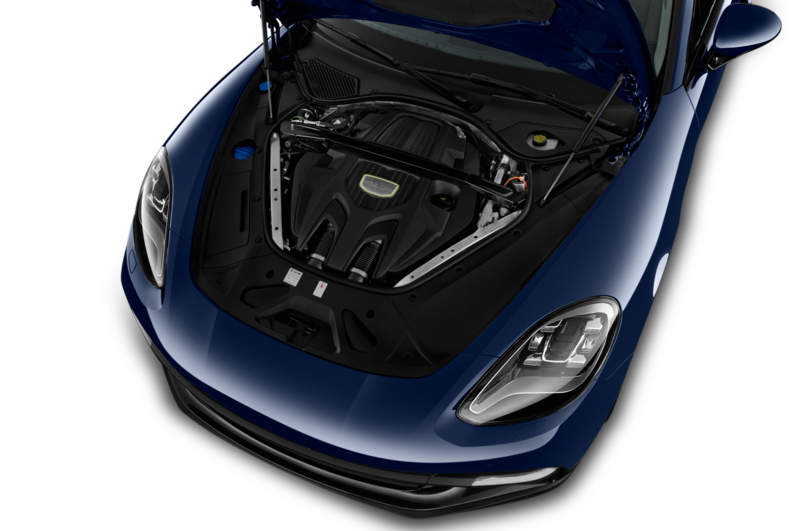 An in-floor wireless induction charging system will be available in the future. 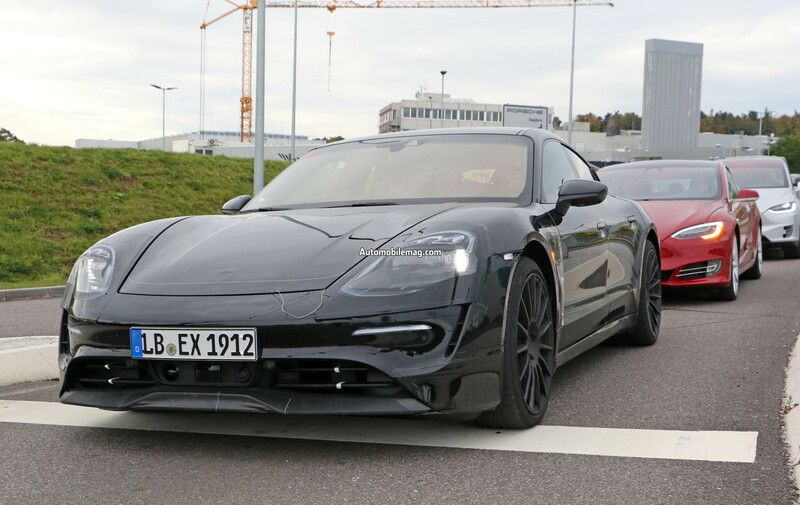 Porsche plans to sell a whopping 20,000 units a year, once the EV is available in 2019.